What is the Age Pension Assets Test? A lot of changes have been made to the Age Pension assets test over the last year or so; here’s our guide to the test including thresholds, what is included and what is exempt. The Age Pension assets test is one of four criteria that Centrelink uses to determine your eligibility for the Age Pension: the other three being age, residence and income requirements. An asset is essentially anything you own which has monetary value and can be converted into cash – whether it’s a liquid or illiquid asset is irrelevant for the purposes of the asset test. That being said, certain assets and asset classes are excluded from assessment in the asset test. The value of each individual asset is calculated by determining what it would sell for at current market value, minus any debt it has secured against it. Centrelink adds up the value of your assets and if the total value is below the threshold for your circumstances, you will have passed the assets part of the test. What are the age pension assets test thresholds? At time of writing, these are the various thresholds for age pension eligibility. There are higher threshold limits that apply to those receiving a part-pension or transitional Age Pension (TTR pension). If the assessment of your assets reduces your Age Pension payment so much that you are in severe financial hardship, you can make a claim for Asset Hardship consideration. You could also apply for a loan under the Pension Loans Scheme. Now let’s look at what can count towards your assets. What does the Age Pension assets test look at? Any real estate or property which is not your principal home will be assessed under the Age Pension assets test. This may include part-owned property, property owned as part of a business structure, or property used mainly for business purposes; your principal home is not exempt from the assets test if you use it mainly for business. 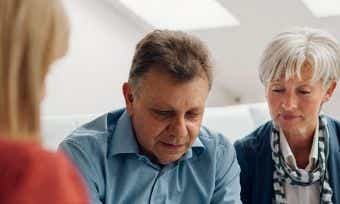 If you transfer cash or other assets to someone for the privilege of living in a home you don’t legally own, the value of what you transferred will be assessed against the value of the home in question (known as a granny flat) in order to determine whether you are considered to be a homeowner or not. The rules surrounding granny flat interests are slightly more complex and are laid out here. 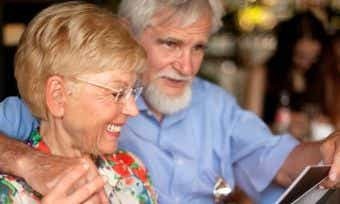 If you live in a retirement village, the size of the entry fee you paid will determine whether you are considered a homeowner or not. This in turn will determine whether your entry fee (which can be upwards of $200,000) is assessed as part of the assets test. Read more about how retirement village living affects your real estate assets here. Similar to a granny flat interest, if you do not own a certain asset but have a life interest in it or receive a lifetime income from it, it may be assessed as part of the assets test. Life interests are usually based in real estate. Income streams and account-based investments are valued using their current balance, whereas market-linked investments are valued using their net market value – e.g. the last trade/sale price of said investment, minus any debt or loan secured against it. Your superannuation investments are not counted in the assets test if you are below Age Pension age; if you’re above the Age Pension age, your superannuation investments are counted regardless of whether you receive the Age Pension or not. However, if your superannuation fund is paying you a pension, that may be counted in the assets test as an income stream. Canstar considers the annual investment returns of a product’s default investment option, including default life-stage options. Where a product does not have a default investment option, annual returns for the investment option with the highest FUM and a 60-80% growth asset allocation are used. There are two broad categories of income streams: those received as a pension from a superannuation fund and allocated or account-based annuities, which are an income stream purchased from a life company. Income streams purchased before 20 September 2004 are not counted in the assets test; if an income stream was purchased after 20 September but before 20 September 2007 half of its value is counted in the assets test. Any income streams purchased on or after September 2007 have their full value counted in the assets test. Any business that you are involved in as a partner or sole trader will be examined in order to determine how much of its income and/or assets belong to you, if any. Additionally, if you are determined to be the controller of a private trust or company, its income and assets will be included in the assets test. If both of these requirements are not met, your funeral bonds will not be exempt, meaning your share of its current value and interest will be counted in the test, along with any deemed income received from the investment. If you have several (more than two) bonds, you can choose which one(s) you want to be exempt from the assets test. You and/or your partner may choose to give away or gift assets/sources of income, but they may still be counted under the assets test depending on their value. If this amount is exceeded, the gift(s) which exceed the allowable gifting amount will count in your assets test for the next five years, unless the gifts in question are returned. What assets are exempt from the Age Pension assets test? Payments received by people with disability from the National Disability Insurance Scheme. Also exempt are most insurance payments made to compensate for damage to or loss of property. Asset Hardship Provisions allow for the asset requirements to be circumvented due to financial hardship in situations where the individual in question would otherwise be eligible for a payment. The gifting rules do not apply or can be disregarded. At time of writing, the maximum Age Pension payment available over a year to those who have applied for a payment due to financial hardship is $23,254.40 for a single and $35,058.40 for a combined couple. In order to apply for a payment under Asset Hardship Provisions, you will be required to complete a ‘Claim for consideration under hardship provisions’ form, which you can acquire a copy of by calling 132 300 and speaking to a Financial Information Service officer. If a couple is applying for payment under the hardship provisions, two separate claims must be lodged; however this can be done by completing a single claim form which provides the details of both partners. Each partner can also complete a separate form. 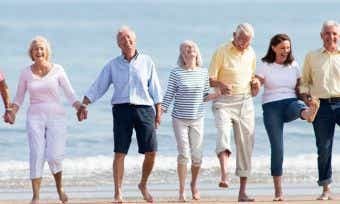 One of the easiest ways to avoid financial hardship later in life is making sure you’ve set yourself up for a comfortable and well-funded retirement via superannuation; but it’s important to find the fund that’s best for you. You can compare different super funds with Canstar. How does the Australian Age Pension work?